Disassembling and reassembling watches is not an easy task for a seasoned watchmaker let alone an amateur hobbyist like me. Part of reassembling a watch after a cleaning includes not only putting the movement back together with it's tiny intricate parts, but also placing the hands back on. 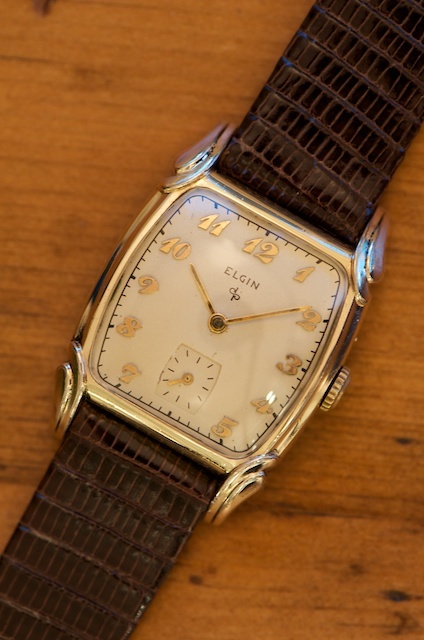 This blog is about the challenge I had realigning the watch hands during the reassembly process. The watch hands themselves sit on posts by friction with the posts being attached to an elaborate series of wheels. One of the last steps of reassembling a watch is putting the hands back on these very fragile posts and ensuring that the hands rotate freely over (or under) each other. 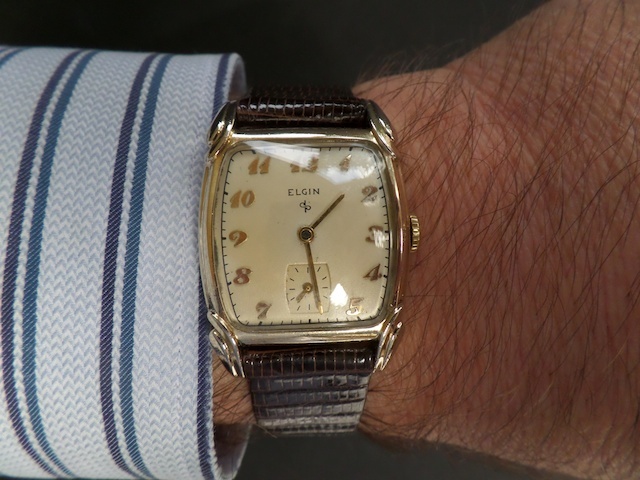 My latest find, a 1949 Elgin wristwatch, had its parts go through a cleaning in my ultrasonic machine, including the hands. Like the other parts, the hands were corroded and needed a good cleaning. What I didn't know is that while the hands were vibrating in the ultrasonic cleaner, they likely banged around and being fragile as they are, became a bit bent here and there. Well, these hands had to much time in the cleaner (have you got it yet? "To much time on my hands" - in the ultrasonic). 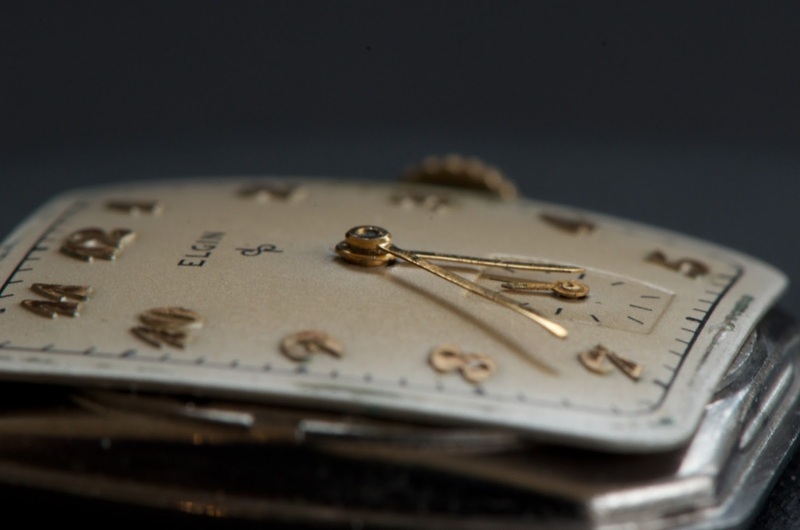 When I was putting hands back on the movement, the hands didn't clear each other and required some fine tinkering (a watch technical term) so that they would clear each other when they rotated. The close-up shots of the movement above show how the hands are sitting on their posts and that they need to rotate freely of each other. 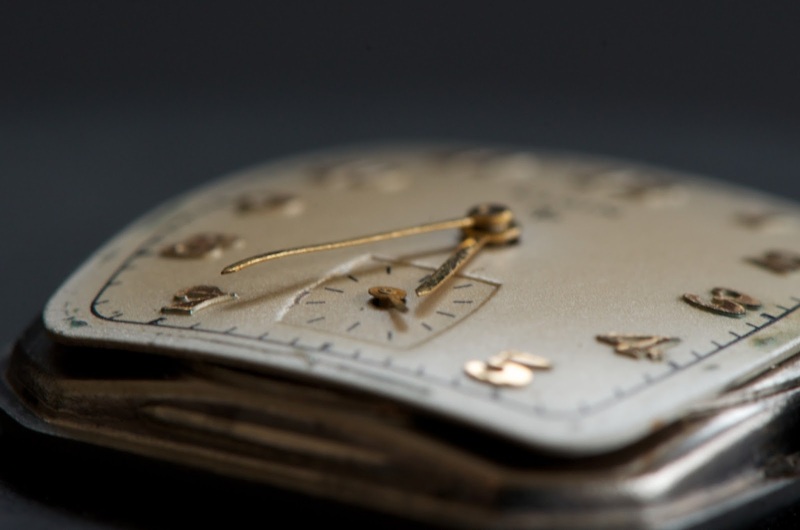 When I reassembled this watch, I had to remove the hands several times to reshape them so the minute hand rotated freely under the hour hand and the second hand rotated freely under the minute hand. Just one of the many steps in the reassembly process. If you were wondering, the watch hands belong to the watch above. It cleaned up really well and with a quick polish to the case and a new watch strap, was ready for my wrist. Here's an original ad showing my "handsome" watch. 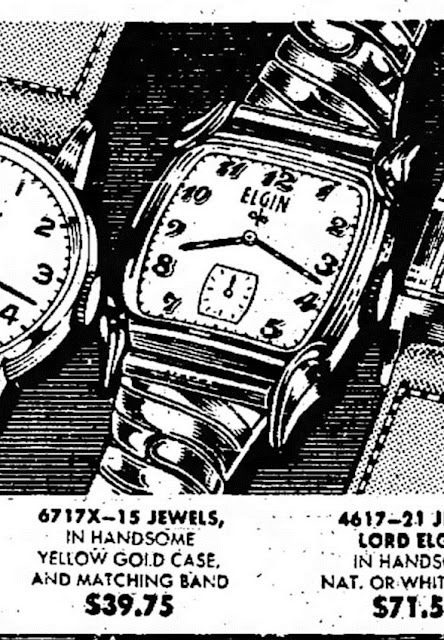 An original ad showing my watch. It is indeed "handsome". Handsome looking time piece, Patrick. It is indeed an attractive watch.